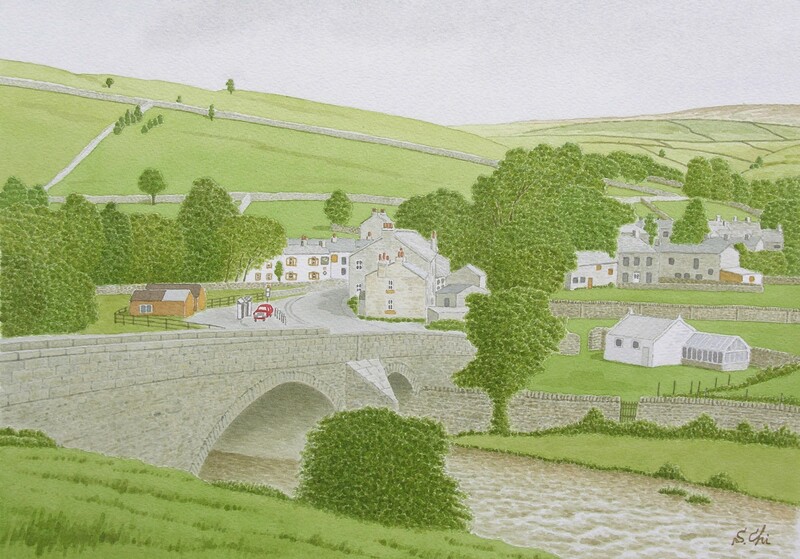 I driving along Wharfedale upwards further, a small but charming village came into sight across the bridge of the River Wharfe. 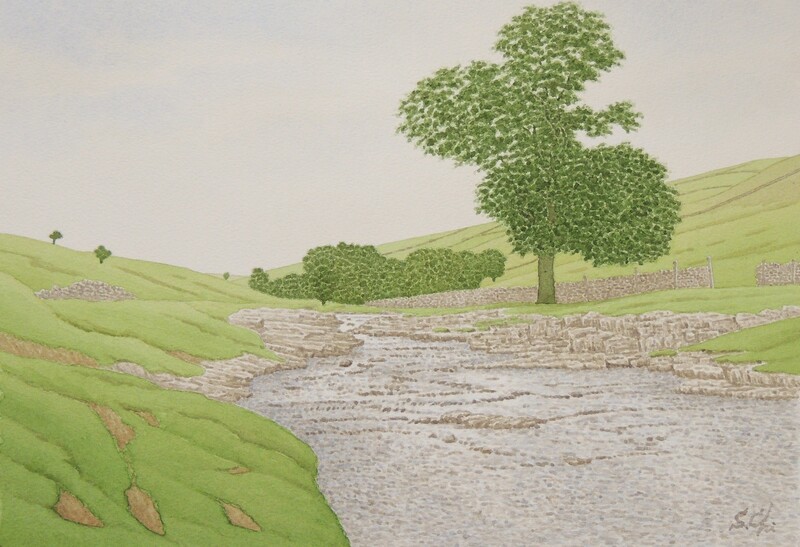 It was Kettlewell, the very enchanted country village and popular with hikers and photographers. Kettlewell was also known as the settlment of the Norse and it is said the name of village comes from Ketel, a chieftain of them. But before they came here, the Anglo-Saxons had settled here and it is also said the name comes from their words of "cetal wella", meaning "bubbling spring". Many villages of the Yorkshire Dales had been settlements of the Anglo-Saxons before the Norse came. Great Whernside, 2308 feet above sea level, lies to the east of Kettlewell. Although the hill has "great" in the name, it is the fourth highest one in Yorkshire. 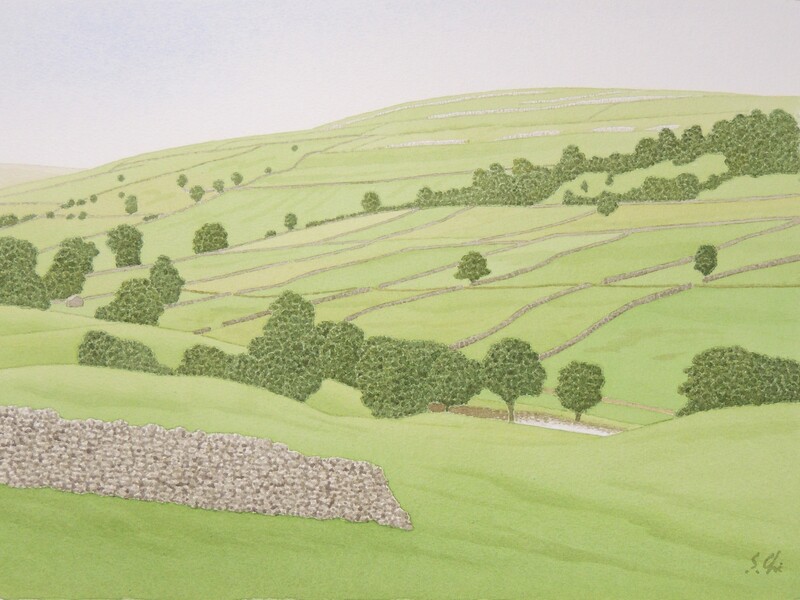 The highest hill is named just "Whernside". I hesitate to call those of England as mountain because they are so gentle comparing to those of Japan. When I was watching the cinema "Calendar Girls", I noticed that I had seen the village and the road running up to the hill behind the village. Then I recognized the village, which was named in the cinema "Knapley", was this Kettlewell.